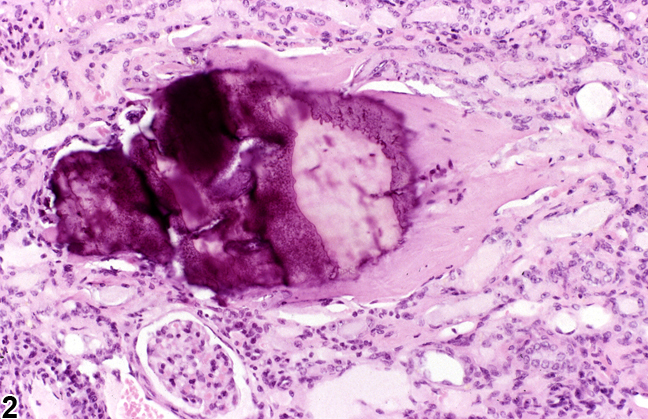 Kidney - Metaplasia, Osseous in a female B6C3F1 mouse from a chronic study. 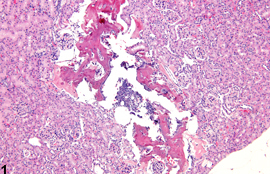 An area of mature bone and associated hematopoietic cells is present in the renal cortex. 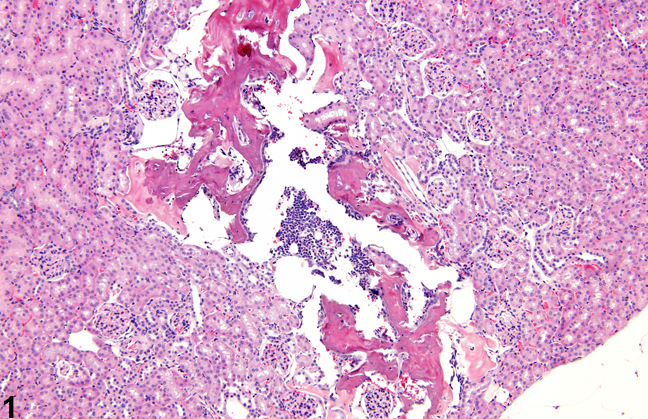 Kidney - Metaplasia, Osseous in a male B6C3F1 mouse from a chronic study. 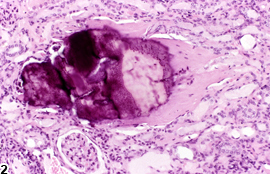 An area of mature bone is present in the cortex.